WhatsApp – One of the most popular messaging applications for Andorid and iPhone users. Today almost everyone is using whatsapp either for private messaging or for business purpose. Friends from school to graduation are making group to be in contact with each other. Even colleagues from MNC are making group to decide their future activities. In such case, having security to your whatsapp number is every crucial. Whatsapp is providing security in your hand like you can block a person; hide your last seen etc. Having security on whatsapp is very important and everyone must have security on whatsapp to prevent unwanted activities. But suppose you want to track someone’s online activity like when he/she comes online? For how much duration he/she is online? How many times he/she comes online in a day? 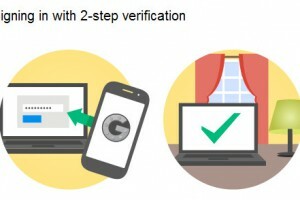 WhatsDog, an android application will do this task for you of tracking online activity of specified user. Let’s see how this android application works. Start the application and select your gmail account to proceed. Now select mobile number for which you want to track whatsApp activity. Note that you can select only one number at a time. If you want to select another number then you have to delete the information from the menu provided in application. Once you add a number, you will be ready to track their activity. 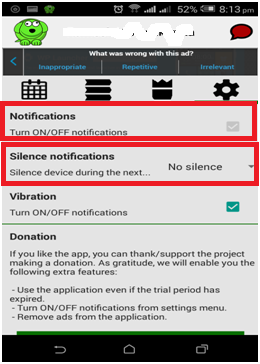 Now in a day, whenever selected user comes online you will get notification, if you have turn on notification for the same using notification option available in WhatsDog application. You can change the setting as shown below. 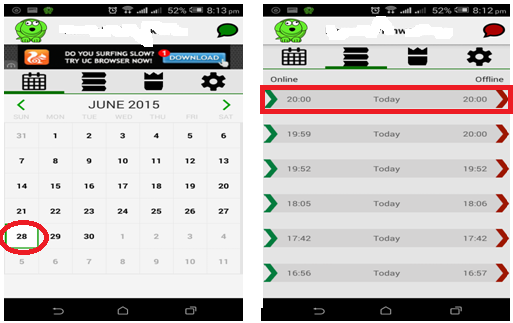 You can track and save activity of the user in day wise. In this application calendar is provider to switch between dates. Using this calendar you can check previously saved data. And another menu is provided to see activity of current day. 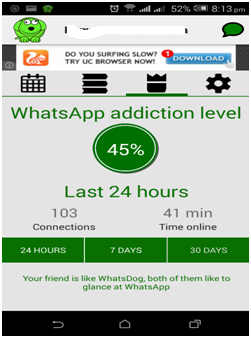 Using the history, this application also calculate the WhatsApp addiction level for that user in hours and days. This will help you to know, how frequently the user is using whatsapp. As I have already mentioned that you can only track online activity of one user at a time. So, if you want to add another user then you have to delete the current user’s information from the application. You can delete the information of current user using ‘Delete Info’ option in application as shown below. 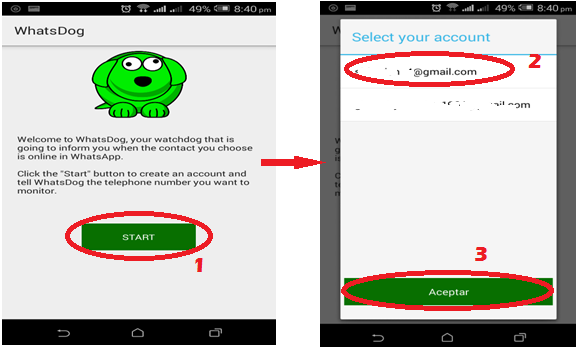 WhatsDog application can track online activity of the user who had registered their number on WhatsApp. Even if user had hidden their last seen, you can track his/her activity. Even if user had blocked you, still you can track his/her activity. Even if you had blocked user, still you can track his/her activity. All these feature in this application can be used to spy on others WhatsApp log on activity. I am sure you will like this application. Do share this with your friend and share your experience here. I am a great fan of your blog, you always cover valid points. Keep wiring such amazing articles. Thank you for your kind words. It really means a lot to me when I come to know that my article is being helpful to my readers. Whatsdog seems is closed now and not working. Is that true. If yes, please suggest any other application which works same like it or better den it. How i can stop this activity? Anyone have a method to prevent spy whatsapp? we are also looking for the same. 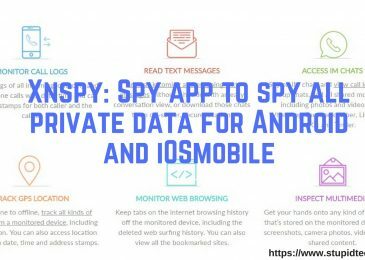 Share with us too if your get any such tool which stop other spying app. Hey I can’t seem to track one contact ..watchdog is working for all other contacts except for this one..u think Tht person has taken some preventive measure.plzz help. Welcome back! I think now whatsdog is install on your mobile. 1. Check that person is registered on whatsapp. 2. Try to send message to him/her via whatsapp. 3. Even if problem persist then try to delete that contact and add it again. 4. Last option is uninstall the app and try installing again. Good luck! Hope this will help. You can subscribe our blog to get more such update. Whatsdog has stopped working plzz help???? 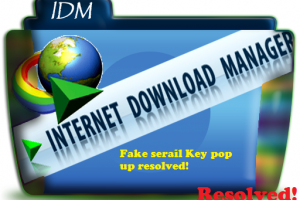 try using different link to download and install. It should work. I am great fan of your blog’s. I used this app for monitering contact. but now a day’s when a delete a contact from whatsdog, he can not accepting any new contact it will show’s only server error, and say’s try again later but i tried many times, please solve..
And Keep Searching new great app’s. Glad to hear such words from you! If the problem is still persist then uninstall the app and install it again. Hope it will help you. Do revert back in case of issue. Hi sk I told u about tht one particular contact problem I uninstalled n reinstalled it did everything u said but it’s still not working for Tht same contact buddy..plzz help.. This App has been deleted from playstore for security reason and developer is no longer providing support. Sorry but if app is working for you then its great and if not then I can’t help because it has been deleted from playstore and now there is no way to contact them. Sorry for inconvenience. If I found any other app with same feature then I will update same on my blog. I would request you to subscribe my blog through email, so that you won’t miss such updates. It seems since DEC 3rd my whatsdog has stopped working! Most likely whatsapp latest patches have fixed this vulnerabilities. I can’t eclven see the last logon date time of normal contact now on what’s app. This happens especially if one updates his profile pic. Hello Shiv kumar, I really need a help from you dear, I started using whatsdog for some few weeks ago and it was working great for me but recently I stopped itself, I don’t know what’s wrong with the app . Whenever I try to use it , its always saying the capacity is at 100% I should try later but even when I uninstall and install again there hasn’t been any change please help me out I beg you sir . I am really sorry for not providing any help in this case. Hope you will understand my situation. Hi will my contact know that they’re being spied? This application can be use only to check whether that person is online or not. It don’t show message or chat with other person for safety reason. So you can only track whether he/she is online or not. Thanks for coming by and posting your query. Its an amazing app you have reviewed with screenshots. Even I found some more intresting articles in your blog. Please keep writing regularly. I am following your blog. Glad to know that you like my blog and my way of writing. Stay tune for more such updates. Hi will the person know that i am spying on him?? And will i be shown online to them?? Don’t worry person won’t come to know that you are spying and you won’t be shown online to him/her unless or untill you open your whatsapp. Seems that a message as “whatsdog online” will show whenever there is an incoming message on the contact I am spying, is it the case? No, whether that person receive message or not, if he/she opens whatsapp then whatsdog will show that person is online. Thanks for coming by and coming up with your question. hi…whatsdog didnt detect if the person was using voice calling..no online indicator…if the person blocked me it doesnt indicate an online status…it was all hidden. I would suggest you to reinstalling whatsdog. It should notify you about being online of whatsapp user, you are spying to. Hi. My whatsdog is installed correctly but doesn’t give me any information. I even tested on my other number but it doesn’t inform me when i go online. I’ve uninstalled and reinstalled. Still nothing. And I’ve tried with different numbers. My Internet is working. And it worked before. 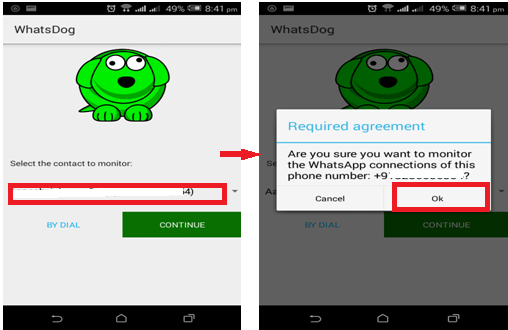 Here you have mentioned that you have installed whatsdog in your phone and going online on whatsapp to check. I would suggest you to check for other person whatsapp contact with another mobile. I have realised it only lets you track one person for a week, and no longer. as i tried with a few other people and it works for them. is this correct? We have tested this app for a month before posting here for you all. 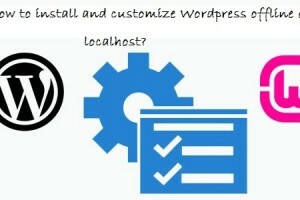 It is working but in your case I would suggest to install whatsdog and try. Hi. Is whatsdog still working?? Due to encryption update on whatsapp, whatsdog is facing issue to track activity. But whatsdog team is working to overcome this issue. Please keep patience as the team is working. So you got what you want. 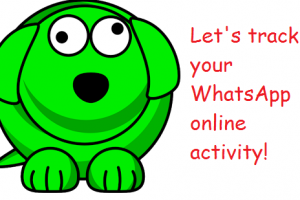 To track activity whatsdog need to have access to mobile data. So, it can’t do as of now, as you want. Anyway thanks for coming by and asking query. Earlier, the Whatsdog was working fine, but from past a week it is not working though user is online it is not showing in Whatsdog. And sometimes it works for few minutes and again it will stop. Could you please on this. Due to encryption update in whatsapp, whats is not able to track user when he/she comes online. But whatsdog team is working on it and will soon announce a good news to all of you. Till that I would thank you for staying patience. my whatsdog was working till morning but now its not showing notification of any number whether person is on-line or he is offline. I deleted the contact, added again.. even reinstalled the app but its not working. tried on another phone but again facing the same problem. it doesn’t notify for any number on my either phone set. It my pleasure to have reader like you. I try my best to answer to all query though sometime I run in short of time. Is dre any other alternative like some other app or some other way to keep a track?? Don’t know about any other alternative but we will surely post as we get any alternative. Developer is working to sort out this problem. Will update you all very soon. Till then stay connected! Thanks again for coming by and adding your valuable view. I am glad to know that you find this app useful for something. But due to encryption update in whatsapp, whats is not able to track user when he/she comes online. But whatsdog team is working on it and will soon announce a good news to all of you. 4. Install whatsdog and try again to enter information. Thanks for coming by and seeking for help. Whatsdog suddenly stopped working all the time for me. I would only get a few updates but last seen online was different to what whatsdogg was saying – very strange. I uninstalled it and reinstalled and now when i try add a number it says npt possible t complete registration because whatsdog is at 100% capacity?? whatsdog was working fine for me for couple of months, but for a week now i have been facing regular issues as i dont get notified when the contact comes online, the notifications were on and off but now from the past two days i haven received any notification. even updating the app was of no use. please advice. 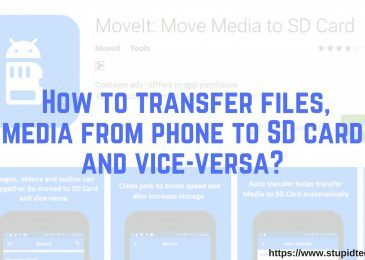 Hello Shiv kumar, I really need a help from you dear, I started using whatsdog for some few weeks ago and it was working great for me but recently I stopped itself, I don’t know what’s wrong with the app . Whenever I try to use it ,its show it successfull install and data base are updated.but it did not show any update even when the tracking contact no is online.so many time i uninstall the app and again install and configure it but it give the same result. Whatsdog ha stopped working since April 2nd plzz help ?? Hello, I just realised Whatsdog is not working since 2nd April 2016. Is the app blocked? Thank you if you could reply. But not sure why am not receiving the alerts for the one whom is coming online. Sir for the past few days whats dog is not working… pls fix it.. whats the problem ? In recent days the app is not working, it is not showing the notifications and data. I have even uninstalled many times and checked but still it is not working. Please help me on this. sir whats dog is not working for last few days ? why ? will it be rectified ? From last week app is not showing data as i think there mught be some issuez. Plz guide me to resolve issuez. Please do it ASP. Why it is not working from 2 april 2016? Its seems you have checked your boyfriend online status with your friends number who must have hidden their last seen status. If a person has hidden his.her last seeen status the they can’t see others people last seen too. Please check with those phone who don’t have hidden their last seen status. Whatsdog app is not showing online status of the contact i required. Do you know why it is not working and how to fix this issue. 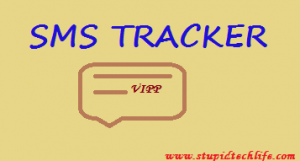 is there any alternate to track whatsapp contact online status. I installed whatsdog app but this app is not monitaring the selected contact is came online or offline why i dont no plz give me the suggestion about this app otherwise plz tell me other app like whatsdog. Hi there is whatsdogg going to be update and start working again? I see whatsapp has updated themselves – on my chat screen it says messages you send are now secured with end to end encryption. Does this mean Whatsdogg will never work again? Such an amazing app and I love you site/advice and updates. It would be great if Whatsdog could tell us the number a contact is chatting with. My child is constanly on whatsapp and think she may be getting bullied – would love to see the number she is chatting to. please help me when will whatdog start working again. it was only app which i personally like a lot. do update the tentative date. Whether WhatsDog can track activities if my contact is using WhatsApp Plus? Yes it will track that too. Thanks for coming by and dropping a query. Is there any other app which will track whatsapp contacts status. There is no other app to do functionalities same as whatsdog. Developer are working hard to resolve the issue and currently new version is under testing. So please have a patience for some time. Since new version is about to get launched. Do subscribe my blog using your email address in box provided at end of the article and on right side of screen, so that you don’t miss any such updates and other useful stuffs. When will whatsdog work back again? Hi, it had been a month and no connection yet. Any alternatives for us? I even donate money which it was worth spending. Please hurry, we appreciate all the effort and thank you for the updates. Thanks for sharing this information, i have installed and now fingures are corssed weather it will work for me or no…. will update you once i get the information. Glad to know that you have installed to use this app. Currently this app is facing issue, please have a patience since developer are working hard to launch new version of whatsdog with advance feature. For time being subscribe my blog using your email id, so that you don’t miss any such related updates. Thanks for coming by and comment. when will whatsdog start working again …its almost a month there is no response. will you please tell about whatsdog app that when will it restart again if you are connected with the whatsdog team ..
how much time it will take now to fix again.. Developer of whatsdog is working very hard. I can’t update unless it is live by developer. So wait ill they are able to resolve this issue. whatsdog team has been launched new version..
but its not working now, what it means that will it work after payment of 2 euro for 2 days which means that 150 rs. 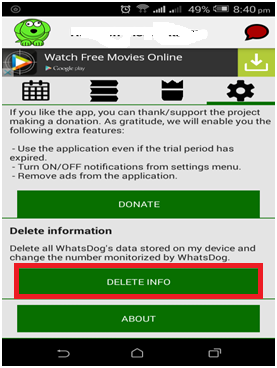 please give the detail about it..
You can download latest version of whatsdog using link https://t.co/6V6Xtf9UxX and try again. Though the new version has been released it is still facing some problem and developer is working on it. Thanks for coming by and dropping your query. is whatsdog working on your cell. i haev tried several times but it doesn’t respond. has whatsdog started working now ? is it free or we have to pay for it. A new version of whatsdog is working now, you can try by downloading link given in above article. Thanks for coming by and asking. Does it also work with iOS? This app is available for IOS user also. But I doubt it will work or not because currently this app is facing some issue and developer is working on it. Thanks for coming and asking your query. will that person come to know that she is being spy’d under whatsdog. is there any android verison in which new version of whatsdog will work ? This new version is working on all android version. Please uninstall and download fresh file using link given in above article and try again. Guys you can like this page on twitter, you will get updates from there itself. You can subscribe the comment and blog to get updates directly in your mail box. This will help you to save time to login to twitter and check. but its not working now. I am also waiting for confirmation from developer. Let’s see when they can resolve this issue. Thank for coming by and adding your valuable comment. Hi. I sign in to facebook and after that nothing happens? Please check whether facebook ID, password enter is correct or not. Also you can try using your gmail email id to login. It’s kept promptIng “unexpected server errors” when trying to select the contract no. Please help. Yes, we are facing same issue. Lets wait for development team to resolve this issue as soon as possible. latest version of whatsdog is not working . i tried several times but results are not there. For iOS I’m getting server error .how to get rid of this error ? New version is showing connection error. when the issue will get resolved. is there any alternative to whatsdog. is being long time friend. Yet we have not found any alternative for this app. I would suggest you to subscribe this blog so that you don’t miss any update regarding such app. Thanks for your effort and for your blogs. I would like to install whatsdog on windows phone (Lumia 640). I searched in store but its vain. Could you please help me on this. 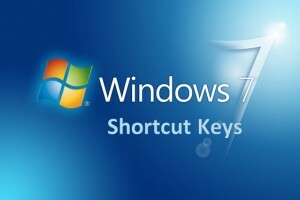 If we cant install on windows phone can we install on windows 7 laptop. Please guide. First of all thank you so much for appreciating my work. This is app is only for android device but currently it is facing some issue to track user activity. Once it is resolve by developer you can install it on window 7 laptop using emulator. I think now it is not possible to get such whatsdog as it was working earlier.Developers can’t achieve that because of new encryption update. Don’t know whether it is possible or not for developer to over come this issue for their app. Still they are working. Lets good luck the developers to get it soon. I have installed whatsdog last seen. In the app it asked me to install original app using a link. Then I installed it. Now, after the app is installed is asked me to sign in using facebook/twitter account or another email. I tried using both accounts. But, both the times it opened a popup with with screen and loading image and got back to the top. So, I tried using email id and password setup. Then i clicked on start button only to see that it is showing “Dont have an internet connection” even though Im connected to a perfectly working high speed wifi. I verified the connection using browsing and other apps. Please help me in this. I dont know why its not working. Whatsapp is currently not working due to secuirty update in whatsapp. So I would recommend not to waste time with this app until developers fix the issue. I will update you if I will get alternate app or any solution for this issue. For time being you can subscribe my blog so that you won’t miss important updates. Have a great day! ahead ? It’s kept on saying“unexpected server errors” when trying to select the contract no. It was work well before Please help. I have installed whatsdog in my vivo mobile, after installation it is asking to login with Facebook/gmail ID, i was entered my gmail details but it is showing there is no internet connection, i was tried with my mobile data and my personal WiFi, could you help me in this. please help me it is very urgent for me to connect.